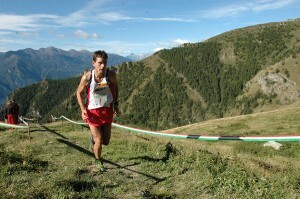 “Since 1989, the history of world mountain running on the partisan trails of Valle di Susa”. This is not just a summary or a slogan. But rather, this is an attempt to transpose in short the thin red line that, in the shadow of Rocciamelone. links Roman history to the facts that marked the outcome of the Second World War in the Valle di Susa. Between Resistance and Liberation. In memory of the deeds of the partisans of Giulio Bolaffi, the “legendary“ Commander Laghi, in the folds of memory of the Battle of Grange Sevine of 26 August 1944, the athletic feats of mountain running champions who have always participated in the “Stellina”, unfold and are renewed, from year to year. First, when it was a Challenge; not least now that it is a …Memorial. It is the Stellina, the race of Jonathan Wyatt, the race of Antonio Molinari, the men who monopolize almost the entire roll of honor of the event. It is the race of Gudrun Pflueger and Isabelle Guillot, of Flavia Gaviglio and Matilde Ravizza. It is the race of the Dematteis twins and of the first African victories in mountain running. Perhaps even more, it is one of those races that must be run at least once in a lifetime. We write this humbly and conviction: after all, the Stellina is always the Stellina!